Home>Entertainment> Fetty Wap's Ex Alexis Sky Says She's "Never Dating Again"
Alexis Sky(y) has hit up Instagram once again but this time she's not posting one of her many revealing getups, but rather a statement about her dating life. The 23-year-old model is seemingly grateful for her ex Fetty Wap as he helped bring her bundle of joy Alaiya Grace into the world, but that may be all she's thanking him for. 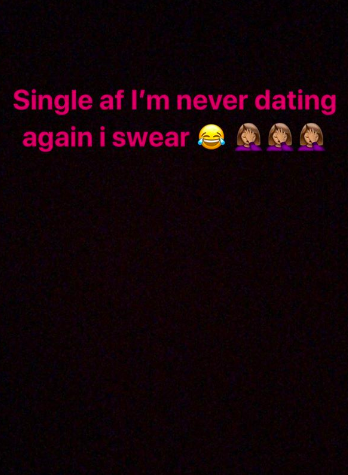 Alexis uploaded a message to her Instagram story reading, "Single af I'm never dating again I sware." There's reportedly been a new man in between her breakup with Fetty, and we'd be lying if we said we weren't curious as to what happened. Fetty's other baby mother Masika Kalysha recently went in on Alexis over social media in a not so very classy way. A Twitter user tweeted at Maskia asking if she and Alexis will ever put their differences aside. "Honey imma keep ignoring ahonda like she ignores that child," she responded. "Be blessed don't come on my page with that mess sweets." The Shade Room posted a screenshot of the response and Alexis commented with this to say: "Look at Mathicko the hungry hippo, I wish the food going in your mouth taste as bitter as my name come out of your mouth. I'll take a page from your mommy mistakes book, & keep the medicine cabinet locked... Not trying to raise no addict gurllllllll"
ENTERTAINMENT Fetty Wap's Ex Alexis Sky Says She's "Never Dating Again"